Next to writing, I am also a very enthusiastic online artist, releasing my music over the Internet since 1997. I've created a number of Net Albums, appeared on a couple of Compilations and also one album which is only available commercially. In fact, I was one of the first online DUB artists and my music has been downloaded 100's of 1000's of times, and perhaps even more. And then I'm not counting the many times my music goes through file-share software! I got my "net fame", as one Dutch national newspaper described my success, from the days of MP3.com and throughout the years that followed I have received numerous e-mails from other online artists who tell me that I inspired them also to become an online artist. It all fills me with gratefulness. I thank the One Who created me for every talent I might have, for it is He Who should be getting all the praise. 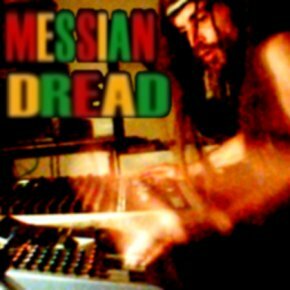 MY ALBUM "MESSIAN DREAD PRESENTS A HEAVYWEIGHT DUBWISE SELECTION WITHOUT OBJECTION"
In 2014, I released a 16 track album of Heavyweight Dubwise tracks featuring legendary names like U Roy and Dillinger. It is available via Amazon and it is intended for all those people that prefer their music on a physical CD because it's so much more than just music. I created one album which is only available commercially. The title is "Showcase" and it's available from our Web Store. The vast majority of my releases came in the form of free MP3 downloads. I keep that tradition until the day of today, even providing copies of the original CD Quality Wave master files! From Japan to the USA, from the UK to Germany, I am blessed to know that my music is released throughout the whole world. I started releasing music online before the MP3 format was there. I did it in midi format and was one of the first to release original Reggae for free this way.